Be informed about indoor air quality to maintain clean air and surfaces -- free of allergens, mold, bacteria, viruses and odors. Sneezing, itching and a running nose? No problem! While flu season may still be in full swing, we have the scoop on easy ways to keep your home germ-, virus- and allergen-free. Southern California Gas Company’s Aliso Canyon storage facility near the Los Angeles neighborhood of Porter Ranch is the second largest gas storage facility of its kind in the United States. As of October 2015, the storage facility has been emitting natural gas, an invisible gas consisting largely of methane, into the Porter Ranch community sickening residents and forcing thousands to evacuate their homes. Since then, Los Angeles Daily News reports the LAUSD board had to temporarily move Porter Ranch Community School and Castlebay Lane Charter School students to alternate locations. Uncover what you need to know to stay safe and healthy in the air we breathe. Subscribe to our blog and receive our infographic for free. Love is in the air! You probably already see pink and red roses decorating every store you enter, and commercials for last-minute Valentine’s Day gift ideas. This Valentine’s season more than 36 million heart-shaped boxes of chocolate will be sold, and almost 8 billion candy hearts will be produced this year, but are chocolates and candy hearts the healthiest choice for your family? The American Heart Association suggests that sugar intake should be limited to no more than half of your discretionary allowance, which is roughly 100 calories or 6 teaspoons a day for women, or 150 calories or 9 teaspoons a day for men. This amount is even smaller for children. So, for you to have the healthiest Valentine’s Day you can, we rounded up some alternatives to chocolates and candy. The air we are breath poses more health risks than we may think. 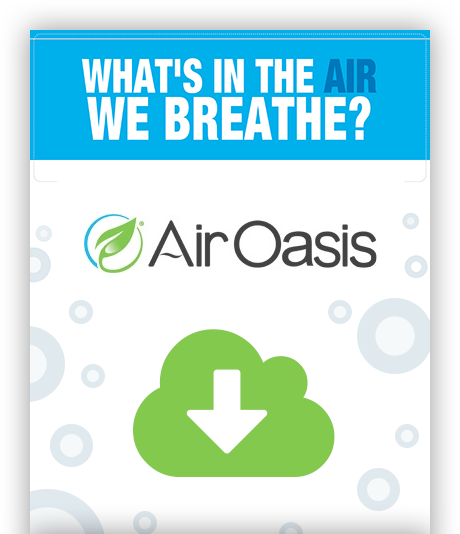 To separate fact from fiction, the team at Air Oasis has put together a list of air quality facts and myths. Being pregnant is one of the most exciting times in a woman’s life. However, between the excitement and the planning often comes anxiety. There are so many things to think about when it comes to pregnancy. Is it a boy or a girl? What name are you going to choose? What is the nursery going to look like? Will the baby be healthy? Will you be a good parent? New year, new start, new resolutions! As we kick off 2016, consider these five tips to keep your family healthy and happy this upcoming year. Is Safety On Your Kids Christmas List This Year? As the holiday season marches ahead, so does toy shopping for the children in our lives. There are thousands of toys to choose from and selecting the right one can be a challenge, especially as new toys appear on the shelves every year. While most toys are swept off the shelves because of their popular appeal, it’s important to choose products that are age appropriate, free of hazards and are durable. Since December is Safe Toys and Gifts Month, we at Air Oasis want to supply parents with a Christmas list that will keep your children safe and entertained all year long!